If you are requesting a particular orthopedic surgeon, please let the Appointment Scheduler know your preference immediately. The exact nature of your injury or orthopedic problem. If you are unsure as to what is wrong, simply say; “My knee has been swollen for two days’, or “I have pain in my shoulder when I move it”. If you are having multiple orthopedic problems, be sure and tell the Appointment Clerk, as this helps to determine the best time period for your appointment. If you have been seen by a University Orthopedics surgeon in the past ten years, you are considered an “existing patient”, and your medical records are usually available for reference. If you have never been seen by a University Orthopedics surgeon in any of the group’s offices, you are considered a “new patient”, even if the reason for your appointment is to be checked or “followed” by a University Orthopedics surgeon after being seen by him or his colleagues in an Emergency or Trauma Departments. Information contained on your health insurance card is extremely important. Providing accurate, up to date information when making appointments allows the University Orthopedics staff to expedite the delivery of your care. Always have your card in front of you when you call for appointments. Be prepared to take notes. You will be given the time and date of your appointment, the name of the surgeon you are seeing and the location of the office where your appointment has been scheduled. While the Appointment Schedulers make every effort to accurately communicate times, dates and locations, it is helpful for you to write down this information and confirm it before you complete your conversation with the Scheduler. Be prepared to complete patient medical history forms in advance of your visit. 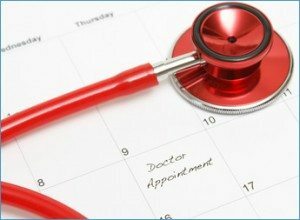 If there is sufficient time between your scheduling an appointment and the appointment date, you will be sent certain patient medical history forms to complete and return before your visit. If you are unable to return those forms before your appointment time, bring all the completed forms with you to the appointment. You may also be requested to obtain additional medical records or information from your family or referring physician. These records are very important and allow the University Orthopedics physicians to understand the full extent of your injury or problem. It is the patient’s responsibility to see that the referring physician forwards the requested medical records in advance of your appointment date. When coming to a University Orthopedics office for an appointment, allow yourself at least fifteen extra minutes before your scheduled time. Not only will there be additional paperwork and forms to complete, especially if you have not completed and returned the initial patient “histories”, but parking at all medical and healthcare facilities tend to be congested. So, allow yourself extra time, and everyone benefits.